Dive down deep in some clear blue water and look up to get a fish-eye view of a surfer paddling out to some big waves. 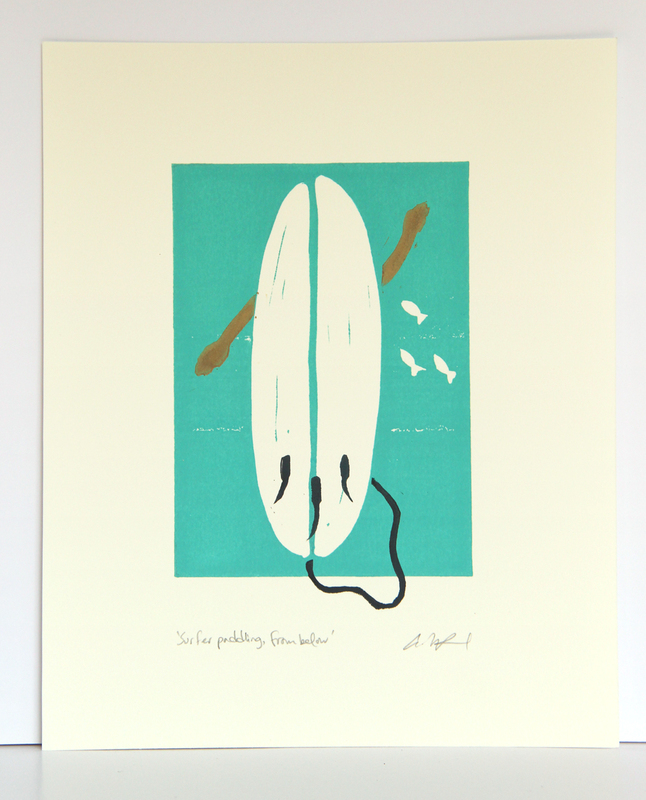 Fun and fresh – a nice accent for anyone who appreciates surfing. 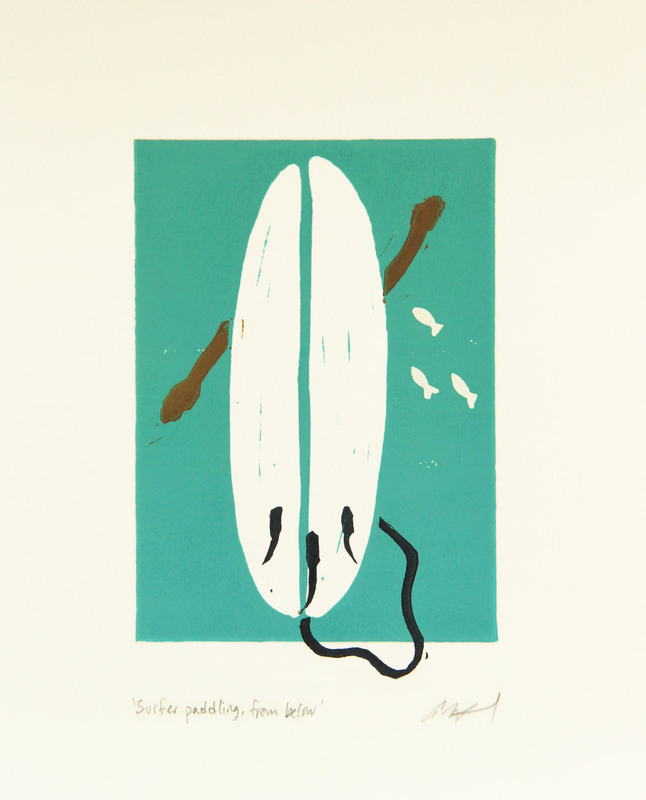 This 3-colour linocut blockprint was created with 3 separate plates and as a playful detail the surfboard leash pokes out of the frame of water at the bottom. The print size is approximately 5″x7″ and comes on 8″x10″ Stonehenge 100% cotton deckled paper. This can be framed in a standard 8″x10″ frame, or for a more gallery feel it fits in an 11″x14″ or 16″x20″ frame with a matte.